At last! And it delivered too! After the heat of the 2003 summer, which spoiled Champagne, I’d wanted to see what the best of British fizz could do with the added ripeness. 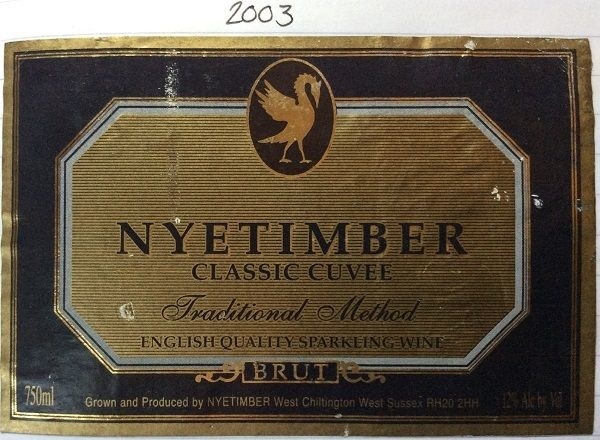 For months the available Nyetimber was 2001, then the next thing I knew, it flipped to the 2005! I thought I’d missed the 2003 until I spotted it in the fridge at Albion café in Shoreditch. Bingo. Pale gold with a moderately lively, fine, persistent bead. Quite sweet apple & apricot fruit, overlayed with rich, toasted brioche. Quite concentrated, rounded, slightly hint-of-sweet palate (fruit, or dosage?). Ripe, preserved lemon hints and dessert apples – ripe fruit. Good – better balanced than some ‘angular’ Nyetimbers I’ve had (2001, 2005).